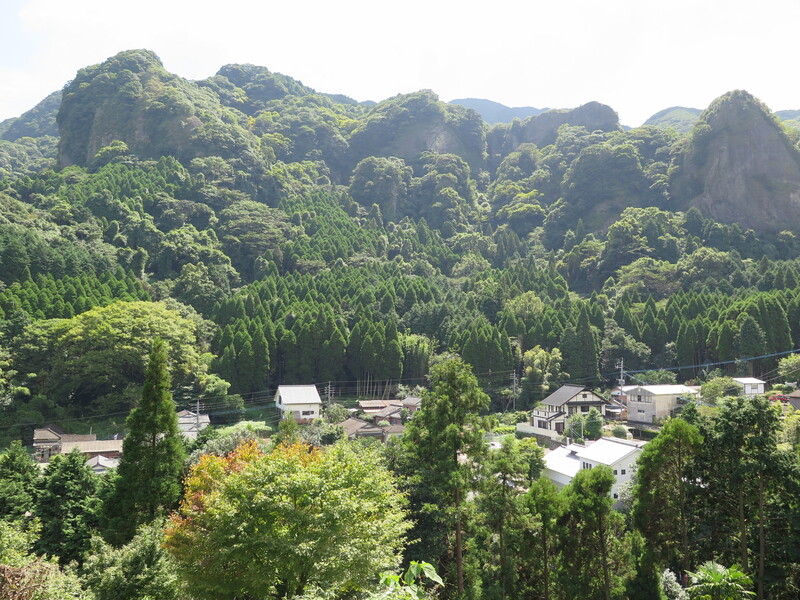 Today I go to visit the hidden village of Okawachiyama. I have already recounted in previous letters, about how the captured Korean potters started the porcelain industry here in Arita in the early 1600’s. The industry started off slowly, but then with the technical successes of high fired translucency. The shogun soon heard of it and wanted his share. It just so happened, that at about the same time in China, there was great upheaval and the export trade to Europe of fine Chinese porcelain came to a sudden grinding halt. The Dutch traders that had control of the industry at that time, desperately looked around for another source of porcelain to fill the growing demand for fine white porcelain in Europe. 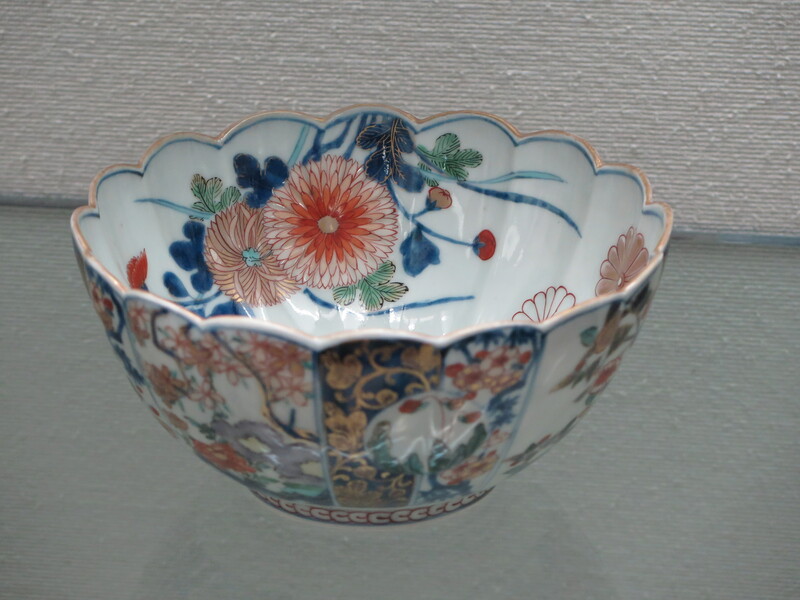 They soon discovered the Arita porcelain and with lucrative export contracts looming, the former cottage industry in Arita soon boomed and within a few years the production of porcelain was quickly ramped up to fill the European demand. 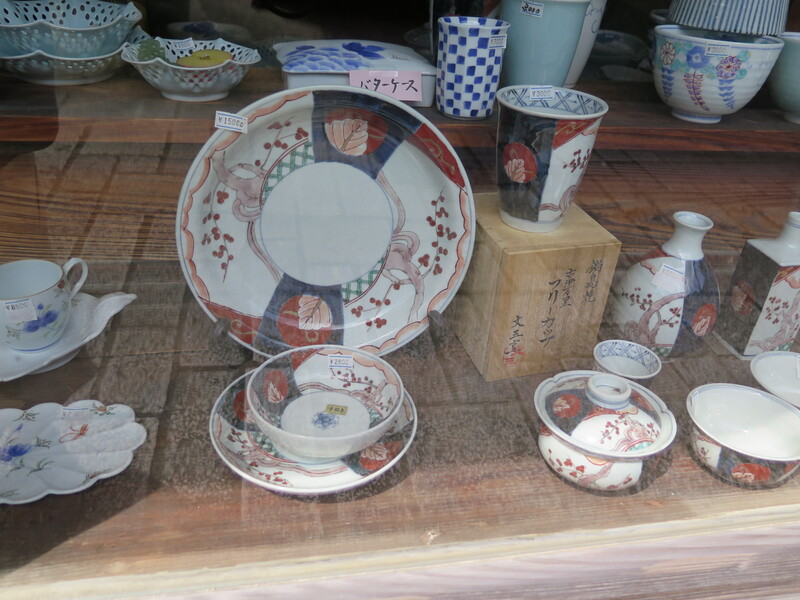 Also about this time polychrome enamels were developed and widely introduced into the workshops in Arita. The net effect of this convergence of vectors, was that the technical quality and visual impact of the Arita polychrome product was quite stunning – and very profitable. Of course where there is rarity, demand, profitability and opportunity, someone will want to step in and take their share. That was and still is the ‘mafioso’ way. It was a much more brutal world back then. Hideyoshi simply kidnapped the Korean potters that started the porcelain revolution here in Arita, and likewise, the ruling war lords of the area, decided that they wanted their cut of the action. 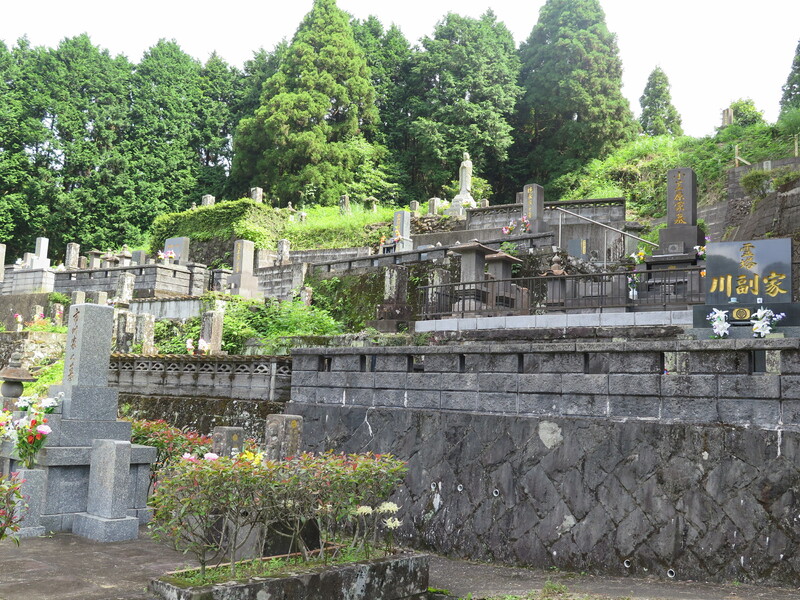 The Nabashima Clan were the local thugs who ran Kyushu for Hideyoshi. They simply marched into Arita one day and ‘stole’ the best 13 potters from their workshops, and took them closer to Imari port where their castle and stronghold area was. They simply installed these twice-kidnapped potters in a remote valley just out-of-town and locked them away in there with instructions to create the very best polychrome porcelain, that they could. Better than they had previously been making in Arita, on pain of death! This isolated valley, with incredibly steep mountains all around, was the perfect place to install these twice-kidnapped potters and keep them contained. 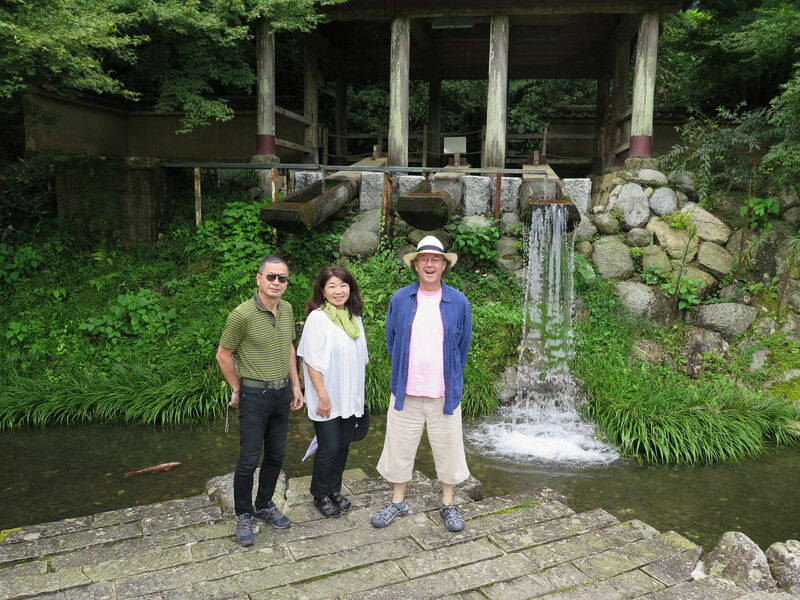 It had a fast flowing stream to power the stamp mills to process to Izumiyama stone and they were soon producing very fine work. A Samurai guard-house was built lower down the valley to check the movements of everyone in and out of the secret valley, so that no-one could escape. 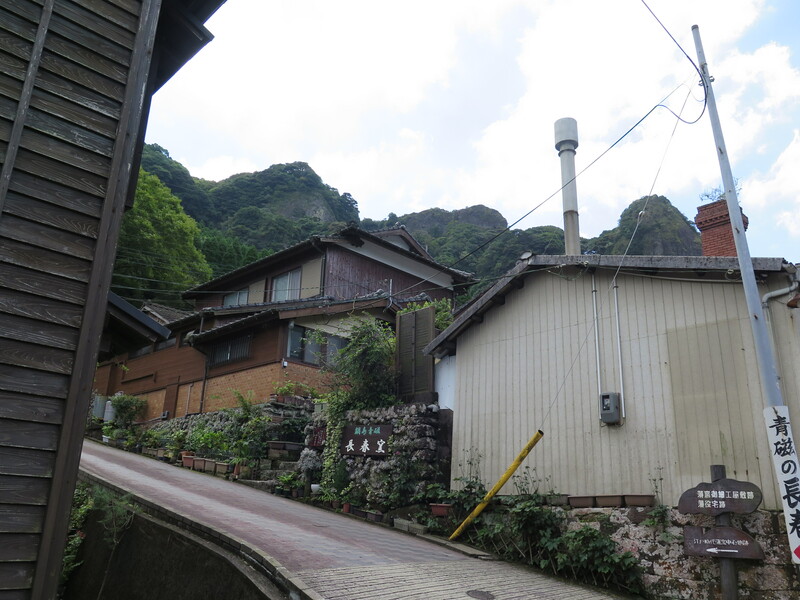 This secret potters village in the hidden valley was called okawachiyama, and no-one knew about it at the time. Such was the importance and value of polychrome porcelain in those days. Guard houses and gates were built at each end of the valley in Arita to check the movement of not just product, but Ideas. Any one with any technical expertise was forbidden to leave. The secret had to be kept secure. No-one was even allowed to see the porcelain stone quarry, or know anything about the process. 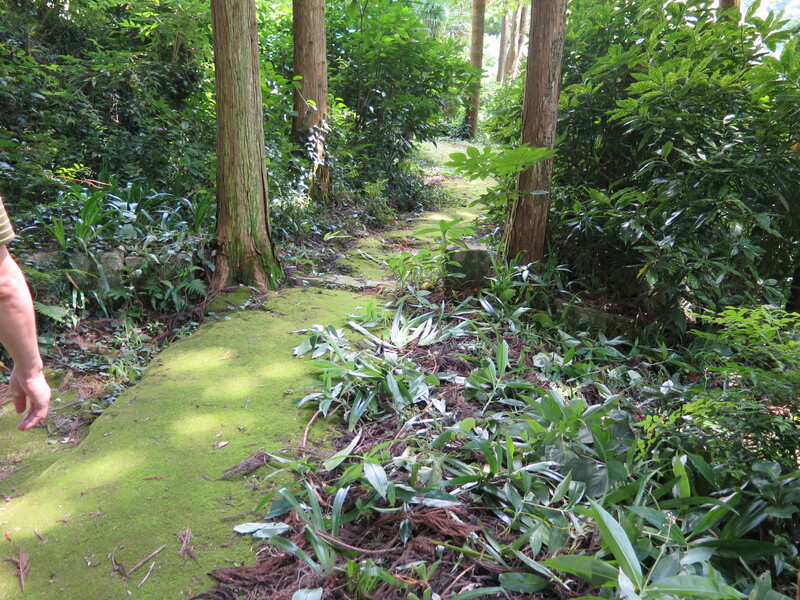 They kept their secret very closely guarded, as did the Nabashima clan in Imari. The twice imprisoned potters set to work in okawachiyama. No thought to their feelings of separation or their families back in Arita. You don’t get to be the ruling clan of thugs by being nice. Threats, violence and coercion were the order of the day. Under such pressure, the renditioned potters, mostly Koreans, set to work and very soon developed an astoundingly good product that soon rivalled the Arita porcelain. And why not? Arita had lost its best 13 workshops and artisans and they were now in business under extreme duress to make a superb product. This product became known as Nabashima Ware, named after the ruling clan who owned the total production. This ware was not for export. It was destined solely for the tables of the ruling elite class of Japans warring factions. Much of it given to Hideyoshi, his Clan and their hangers-on, lackeys and sycophants as tithe or tribute. Most of the potters worked there until their death and there is a special Korean cemetery on the opposite side of the river, dedicated to these early potters. 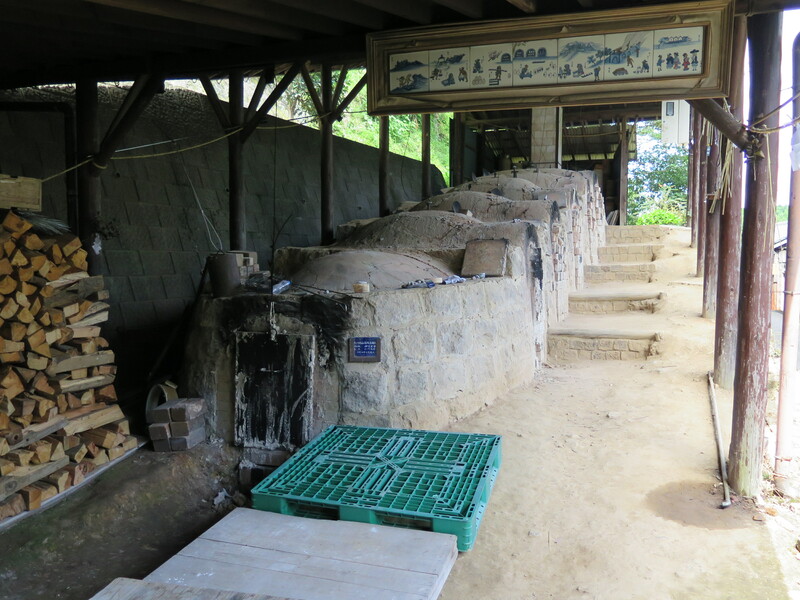 They used the same climbing chambered kilns that were used in Arita. There is a beautiful walk up the hill to the site of two of these old kilns they had up to 14 chambers. This lovely mossy, green, damp walk is very pleasant to-day, as there is no sign of the misery and hardship that these Korean captives endured. The walk even passes through some of the footings of the old kiln chambers. Modern Okawachiyama climbing kiln. The descendants of those original potters still live and work in the valley today. 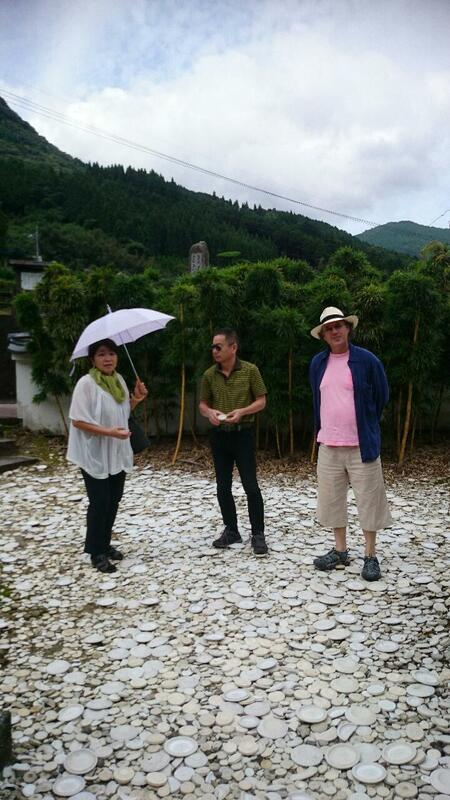 We stand on a walkway paved with discarded porcelain setters called ‘hama’ locally. This image by Keiko Matsui. Not everyone involved could put up with this pressure and imprisonment. One potter was known to have escaped by climbing the cliffs and making an escape in the dead night, but he didn’t know the way over the mountain and was soon missed and recaptured. He was persistent though and made many more simple, low-key, night-time reconnaissance missions, preparing for his eventual successful escape. When he was ready, he made his move and with detailed preparations in place he made a clean get-away. He made his way up to honshu and eventually to a pottery town on shakeku, called tobe, where he found employment as a porcelain potter and was able to introduce his advanced technical skills to the potters there. This new highly accomplished work made its way into the sophisticated market place of Kyoto, Hideyoshi’s capital, and was very much appreciated and soon became in demand. It just so happened that a Samurai warrior from Imari travelled up to Kyoto on some official business of the clans and saw this new, advanced porcelain work and straight away realised that the only way that this work could have been made there, was if someone had leaked all the techniques and secrets. Only one person with that knowledge was missing, so he must be here. The Samurai made discrete enquiries as to the origins of this new work and followed the trail back to the workshop of the escapee. He was re-captured again! Three times unlucky. 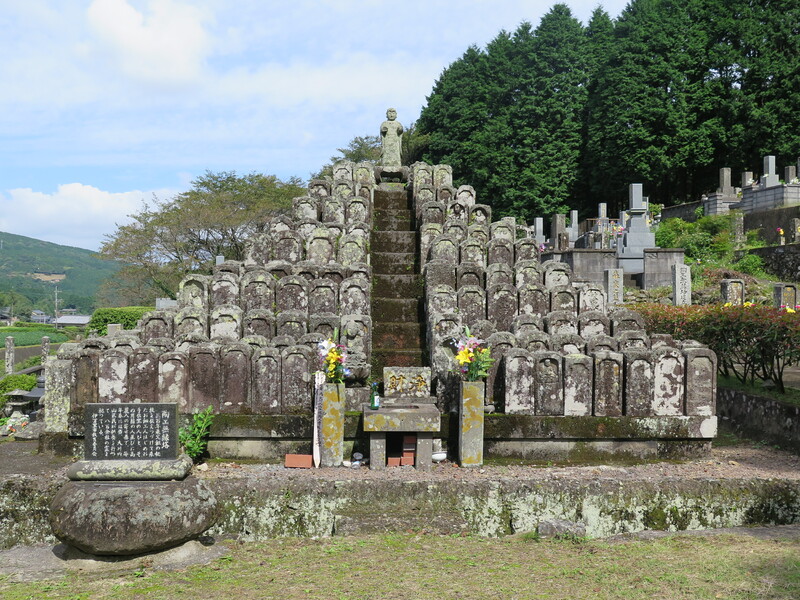 Tragically for him, he was returned to Okawachiyama and publicly executed. His body left by the main entrance gate into the ‘not-so-happy-valley’. A warning to all the others! Later in time, because the secrets of porcelain manufacture had leaked out to the wider world. 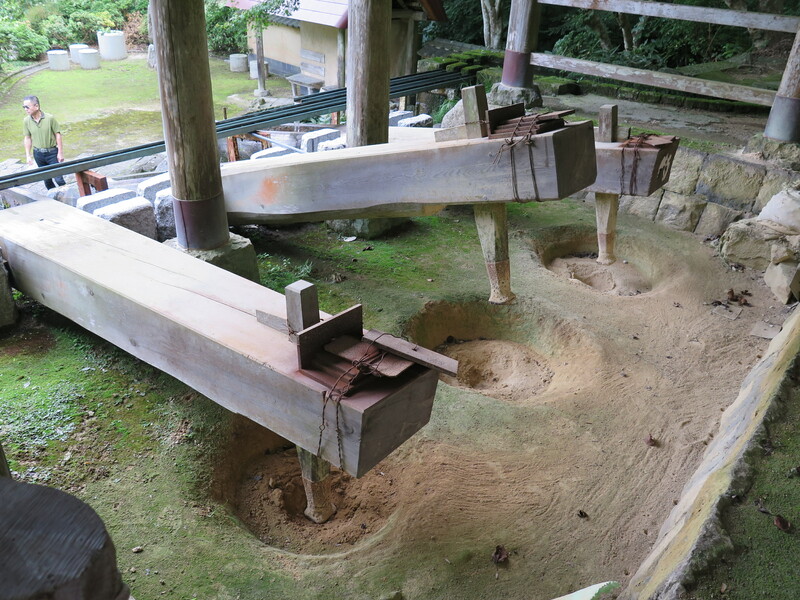 The potters of the Okawachiyama village were allowed to intermix with the other villages. 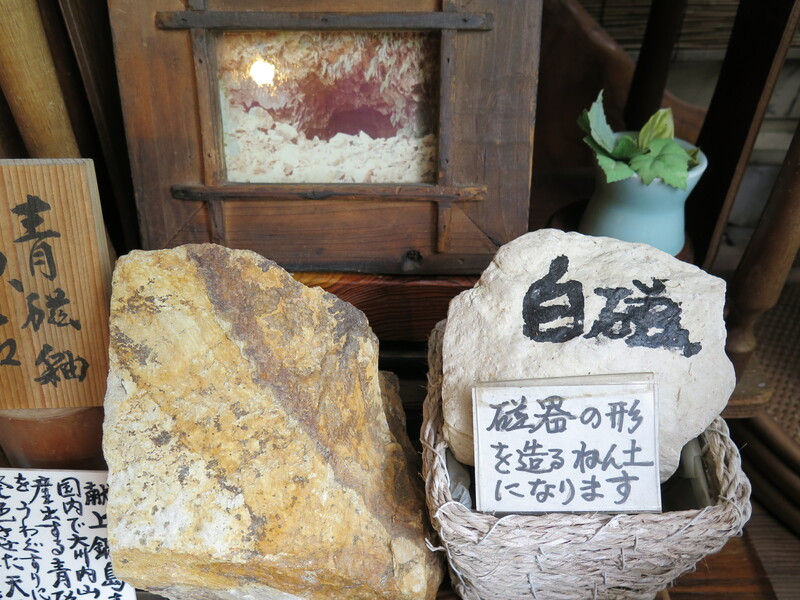 They discovered a local stone called ‘tiger’ stone, because of its naturally occurring yellowish stripes. 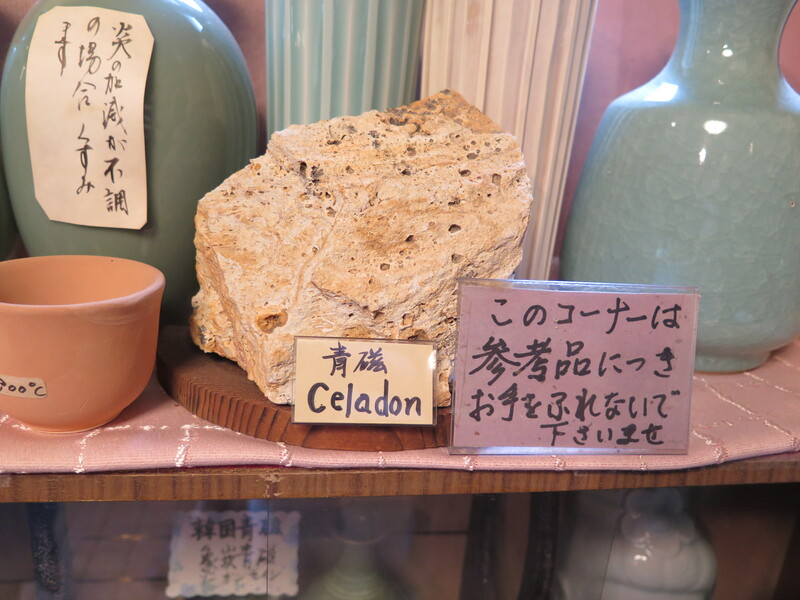 This stone produced a lovely blueish celadon and is still used for that purpose today by a couple of the local potters at the top of the steep road that leads to one of the ancient kiln sites at the top of the hill. Today, this pleasant little village is serene and peaceful. Surrounded by its steep mountains and cliffs that once emprisioned it. Now they serve to keep the outside world at bay. No unwanted, polluting, industrial development here. I love the romance of this isolated, self-reliant, little place today. However, I choose not to dwell on its gruesome past. 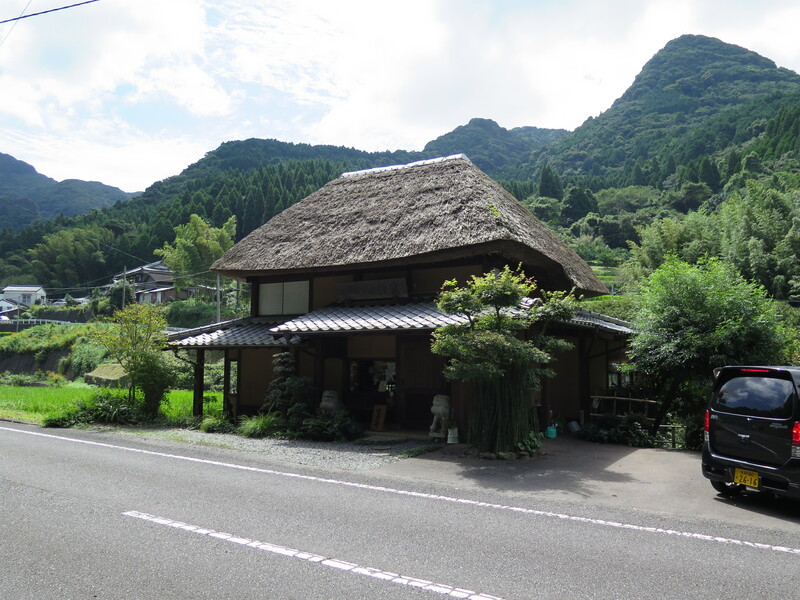 I almost got here two years ago, on my last visit to Arita, but didn’t quite manage it. The good things are worth waiting for! There are some very lovely hand painted polychrome pieces still being made here today. I love this little dish particularly and give it a second look, only $15 direct from the maker.